Digging through loads of email? Handling any number of irritating recurring tasks? Feeling like you can't stay on top of your work-life balance? It's time to partner with a savvy, experienced, resourceful Executive Assistant and Work-life Strategist and alleviate your pain-points! saturated with hope and abiding meaning. She'll help you excel--and exhale. 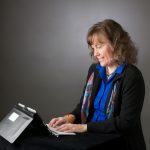 Beth Beutler is a virtual Executive Assistant with over 30 years of experience in administrative assistance, office and team management and executive support. Being an expert generalist with recognized people skills is her specialty. 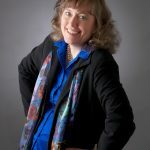 Beth has the unique ability to adapt to a variety of workplace behavior styles so she can customize your administrative support to best conquer the pain points you are feeling in a way that helps you craft a harmonious and productive work-life. Even if you utilize some of her network (all centrally processed through HOPE) you will feel like she is personally in your corner as your Executive Assistant, coordinating her own assignments and the work of others to help you reach your professional and business goals...and have fun in the process. A TTI DiSC certified professional behavioral analyst, experienced as an administrator, business soft skills trainer, author, speaker, and a dabbler with a wide variety of personal interests, Beth enjoys helping people overcome overwhelm in their work-life in part because she's on the same journey herself, and she likes everyone to have fun in the process! Let's grab a virtual cup of coffee and talk about your professional pain points. I'll share practical ideas and, as appropriate, information about how our resources and services can help. There's no obligation to purchase. This is a gift to you. Request a strategy session here. How Beth has helped overwhelmed professionals excel and exhale. 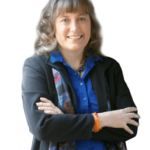 I highly recommend Beth Beutler, if you are looking for someone to help take your business to the next level. We used Beth for two years to plan and coordinate client appreciation dinners and events for our company. She was in charge of all planning details and always did a fantastic job for us. Her attention to detail and follow up was great and freed up the staff to concentrate on their specific areas of work. She also took on the responsibility of developing a systematized contact schedule that has allowed us to stay in touch with our clients and set up yearly review meetings. One final task that she helped us develop was social media. Before Beth, we had no social media presence besides a static web page. She helped us set up Facebook, Twitter, and worked with our staff to develop a more interactive web site. Beth is well organized and task oriented, plus always took the initiative to do the “extra” things around the office that others often put off doing. She has the heart of a servant and was a great complement to our Team! Beth has provided me with efficient and excellent virtual assistant services. So, I decided her step-by-step instructions for cleaning out my email in-box were worth a shot. We booked Beth Beutler to conduct a five-session lunch and learn series over the summer for our employees and were very pleased with the outcome. Beth was professional, always prepared, flexible and easy to work with to achieve our goal of providing an educational and fun learning experience. Our employees not only enjoyed the fun approach Beth took, including games and prize drawings, but also benefited from the common sense, practical tips for conquering challenges related to email, calendar, task, work space and other productivity issues. We would highly recommend other companies book Beth for one or more of her energetic sessions to help you improve the management of your day-to-day work life and increase employee productivity. Director of Legal Administration, Accord Financial, Inc. Remember that meeting that was hard to schedule with the head of the program? You (appropriately) stayed after them. Looking back, it was that one conversation that made the difference in our son's choice to go to that college. So sometimes it's the little things, that in the end, turn into the big things. Thank you for providing me with the email tips to clear out my email inbox. I’ve struggled for years to maintain my multiple email addresses especially with the large volume of spam and articles sent to me that one day I think I’m going to read. I’ve used many of the tips you provided in the past but learned several new ideas as well. I did delete thousands and thousands of emails that I will never read or never asked for that ultimately get in the way of emails that I really want to get or should be responding to and I didn’t. That’s not how I like to be personally and or professionally. My Gmail account had over 14,000 emails in it when I started in which I was able to get that down to 5,000 and also opt out to many ads and newsletters I will never read. I also started clearing out the daily emails each day so they don’t continue to stack up and I’m reviewing and deleting the other 5,000 so it will take me a few months to get to a good starting point and create a system going forward. I would also consider myself to be a big email abuser and with 5 different email addresses so most people that take the course and do as you advise, should feel much better that week upon completion. Thanks for sharing and caring about others. My Gmail inbox currently has 465 emails in it. That's down from over 26,000. I've translated what I've learned to my work email which is a smaller project since I've only been at this particular job since August. I'm being ruthless with the delete button and think "Is this me or is this not me?" to determine whether I need to read or save emails that are sent out to a large mailing list. I'm sticking to the good mailbox habits that you taught me. Leigh H.
I would highly recommend Beth Beutler for all of your clerical and personal assistant needs! She worked for me for many years and was very professional, helpful, and thoughtful. She is also very creative and will be attentive to any and all of your special needs. I’ve had lots of helpers over the years and she’s at the “top of my list”! – Steve Keyes, Founding Pastor, City Church / Company Pastor, Jeff Lynch Appliances. Beth is an excellent quick tip source and encourager on a variety of topics including health and fitness, finances, organization, business etiquette, and more. I’m amazed at her ability to network with such keen diversity due to her friendly and welcoming communicative style. ~ Barbara Seibel, Ministry Assistant, First Presbyterian Church, Greenville. I used HOPE Unlimited to craft my resume to a place where I felt it better represented my skill sets and what I can offer a company. Their copywriter led me in helpful dialog and feedback and I’m very pleased with the finished product. - Misty O. Are YOU Ready to Excel & Exhale? Get In Touch! Click below on what you need!